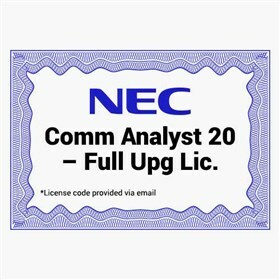 The NEC 1101111 is a Comm Analyst Upgrade License. This license upgrades an existing CA 20-Station License to CA Full System Station License. The NEC 1101111 has many exciting features for users of all types. The NEC 1101111 is sold as a Brand New Unopened Item.